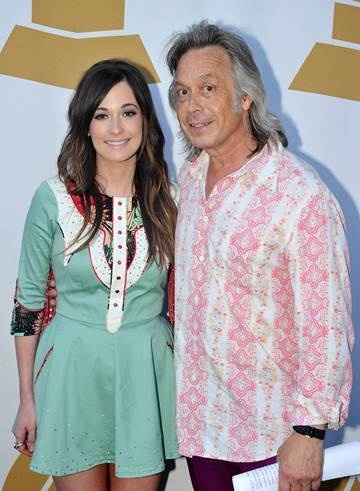 Pictured at the 2014 Grammy Block Party, Grammy-winning artists Kacey Musgraves and Jim Lauderdale. Photo: Frederick Breedon. The Grammy Block Party is moving from its longtime location on Music Row to downtown Nashville, finding a new home at Cumberland Park on the riverfront. The 17th annual fest is set for Tuesday, May 12 at 4 p.m.
For many years the lively event including performances, food and fun, was held at Owen Bradley Park near the Music Row roundabout. Performers have not been announced for this year. The invitation-only party is for Recording Academy members and their guests, and is not open to the public. Last year welcomed performances by Jim Lauderdale, Martina McBride, Kacey Musgraves, Chris Young, For King and Country, and Vintage Trouble.